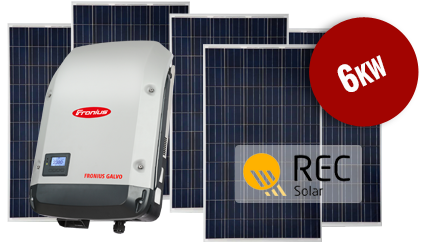 Solaire Connect strongly recommend the REC panel combined with the Fronius inverter. These products WILL last the test of time and give you continuous high yields. Norwegian company. Manufacture out of the world class facility in Singapore. REC rated as #1 on the Altman review score which monitors company’s stability in an extremely competitive industry. 12 year product warranty when installed by Solaire Connect an REC preferred installation professional. Temperature coefficient Pmax -0.39%/oC (lower the better) works better than other panel in Perth’s hot summer climate. Superior performance if panels are shaded due to clever cell construction. Increased yield with split cell technology. By cutting the cells in half they reduce the resistance in the panel which will allow for more energy flow. Austrian company. Manufacture out of Austria. Dual trackers for multiple array orientations. Wifi connection for continual self-monitoring of the PV system. Access to allow Solaire Connect to permanently monitor the PV system FREE of charge. Additional monitoring of where your power is going via the optional Fronius smart meter.